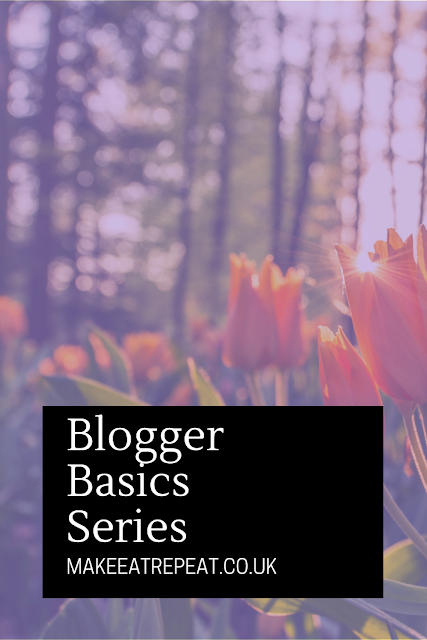 Welcome to the Blogging Basics series the first of its kind on Make Eat Repeat. 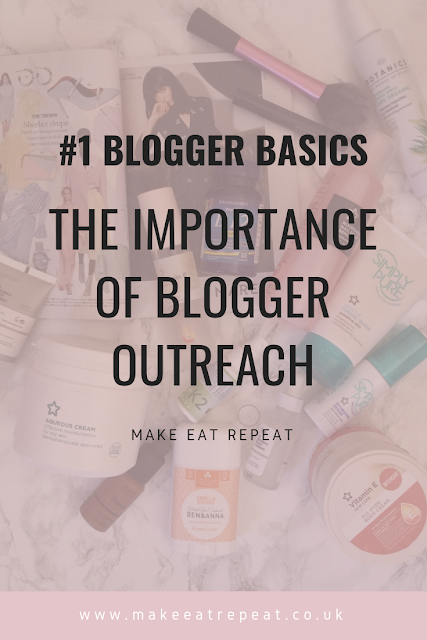 We are starting off Blogging Basics with the topic of outreach which is not normally discussed but I thought I would bring some insight into it from a brand and bloggers perspective. Influencer marketing is a cost effective strategy / tool which offers brands a range of benefits. 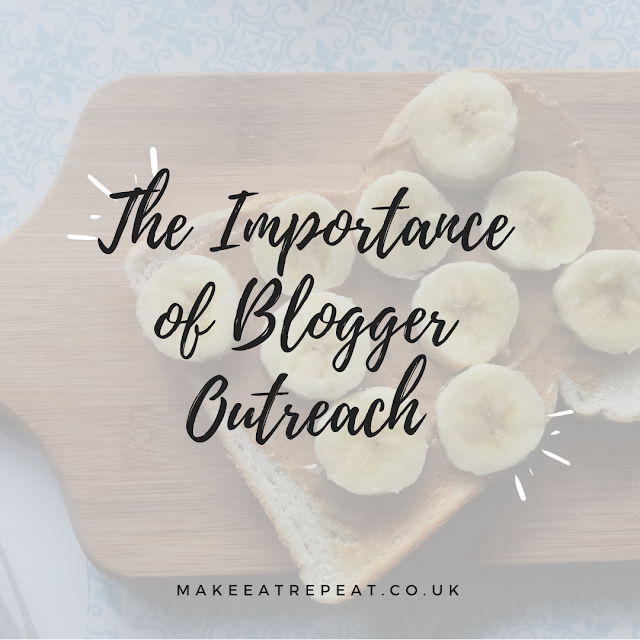 Blogger Outreach is used to find the right influencers which match the desired target audience. Influencers state their blog description or blog post themes so the relevant brands can find relevant links to their work which can lead to a potential commission. Influencers engage with their following on a regular basis by providing their followers with valuable information which caters to their specific needs. When an influencer introduces a product to their following, their followers take notice. As they trust the opinion of their favourite influencers so if a brand or product is recommended by a influencer. Consumers are more likely to feel confident in investing in specific purchases that have been recommended by an influencer than purchase items which have just featured within an TV commercial. Therefore brands now target audiences which can be reached immediately via social media rather traditional marketing options such as TV and radio. Which normally takes longer to plan due to the higher budgets needed to secure billboard, tv and radio advertisements. It is possible to find paid blogging opportunities as a new blogger, blogging is not just a hobby but to many it is has become a full time job. Many people believe that the blogging world has become highly saturated and it is only for those with a large following. Yet bloggers who focus on producing quality content, building an engaged social following are just as likely to be chosen by brands. As bloggers who have a total following of 1,000- 20,000 followers are classed as micro bloggers and they are in demand by brands. Microbloggers can offer brands the opportunity to reach a larger number of engaged audiences instantly by using their budget to target multiple bloggers for immediate results. Smaller followings tend to have a higher engagement rate for example ‘Influencer A’ has 100,000k followers but receives 2,000 likes per post. Whilst the ‘Influencer B’ 15,000k and also receives 2,000 likes per post. So bloggers need to plan their content, provide value to their readers and eventually they will attract attention from a wide of brands who can provide value to. If you would like to some more information contact me or visit my work with me section to find out how I can be of service. 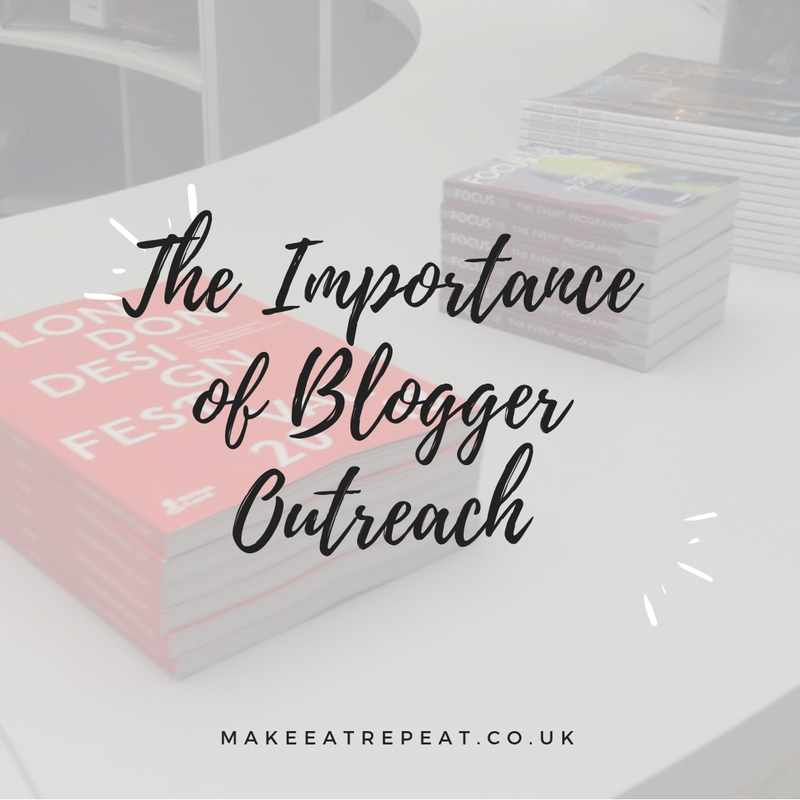 Do you have any experience in blogger outreach? Let me know in the comments below.